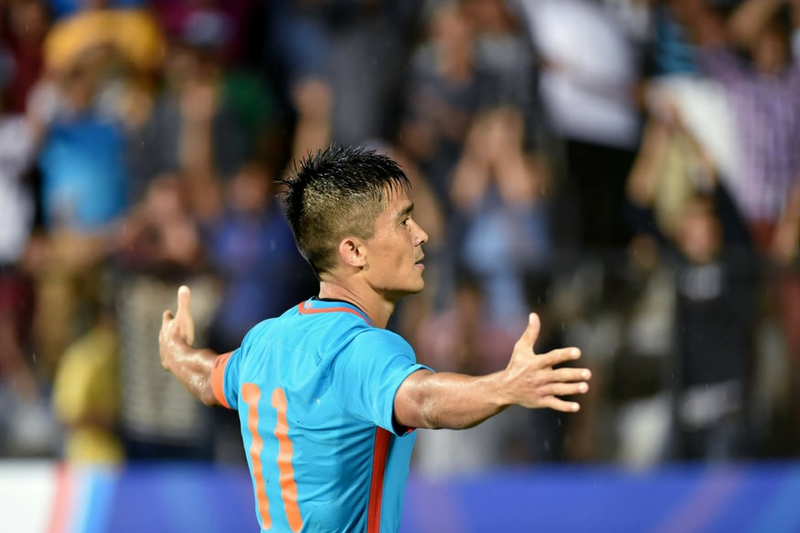 A night Sunil Chhetri is going to remember for a long, long time. If you have not been living under a rock, you have heard Indian football team's skipper Sunil Chhetri's heartfelt plea to all the fans of Lionel Messi, Neymar, and Cristiano Ronaldo-- "abuse us, criticise us but please come to watch the Indian national team play." 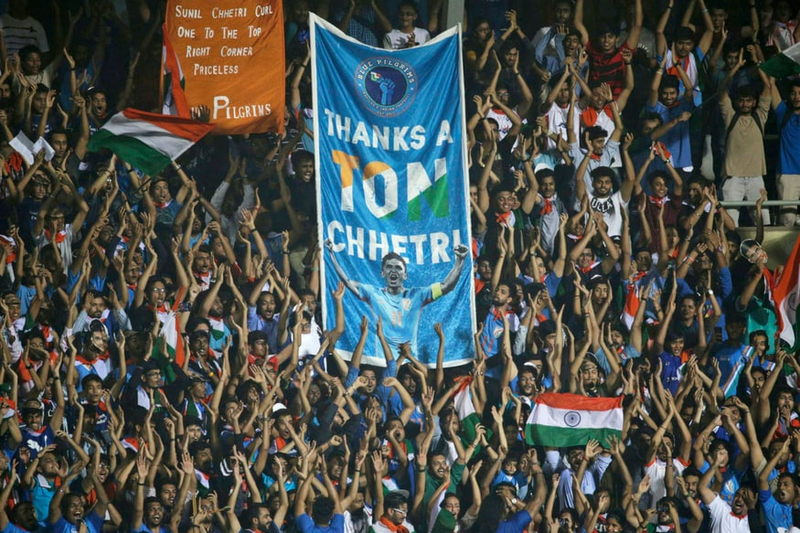 The skipper, who scored his third international hat-trick in-front of a near-empty Mumbai Football Arena (MFA) stand, asked fans to come to the stadium, even if they wanted to criticise the Indian football team. His appeal did not go in vain. As the word spread, YouTubers, social media influencers urged everyone to show their support to the national team. Chhetri's appeal was backed by India's cricket heroes Virat Kohli and Sachin Tendulkar who took to social media and prompted fans to shell out for tickets. History was being scripted on 4th June. Here are all the amazing things that took place at the Mumbai stadium hosting India and Kenya teams. 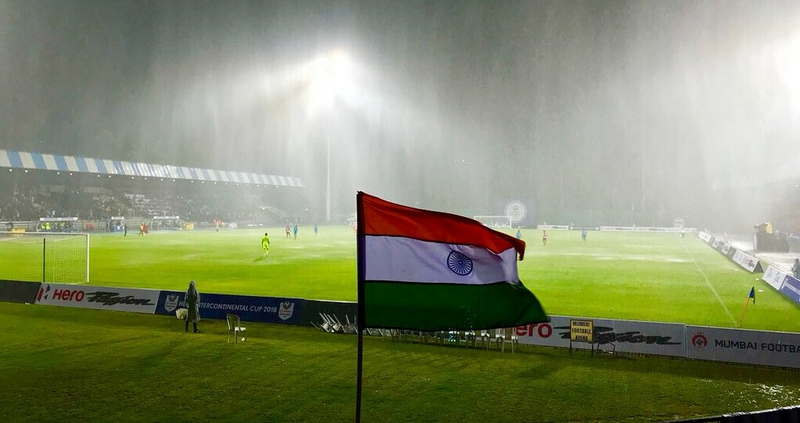 In what may be a rare instance for the Indian football team, the Intercontinental Cup match between India and Kenya at the Mumbai Football arena officially sold out. Football fans were unfazed by the heavy rains that lashed the Mumbai Football Arena in Andheri. The outpouring of emotion over the last two days was followed by a heavy downpour, which threatened to play spoilsport. Puddles of water had formed in the field of play and what followed was a scrappy first half. This, however, didn't stop the crowd from cheering for the men in blue. People found the humourous side to it. 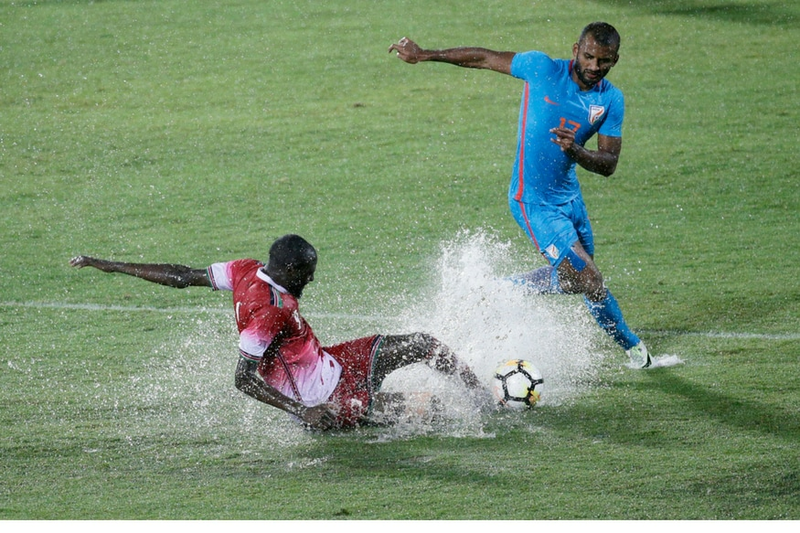 The heavy rain in Mumbai seems to be troubling the Kenyan team. India took on Kenya in front of a crowd that was so charged up, they could very well provide electricity during summer's power cuts. Nearly 9000 people showed up, a turnaround from the mere 2,569 who turned out to watch India thrash Taiwan 5-0 last week. Chhetri was in no mood to disappoint the thousands who answered the Indian captain's emotional plea and turned up at the stadium. The skipper scored two goals in his 100th international appearance. Chhetri led the attack by converting a penalty in the 68th minute and sealed Kenya's fate in the dying minutes by netting the ball with a beautiful chip shot to the Kenyan goalkeeper's surprise. Gone are the days when Indian football lovers only rooted for the Europian clubs. Netizens were busy live tweeting the match with full enthusiasm. Adding cherry to the cake, India comfortably beat Kenya by 3-0. Apart from Chhetri's two goals, Jeje Lalpekhlua unleashed a pile driver off a rebound into the top corner from the edge of the box in the 71st minute. 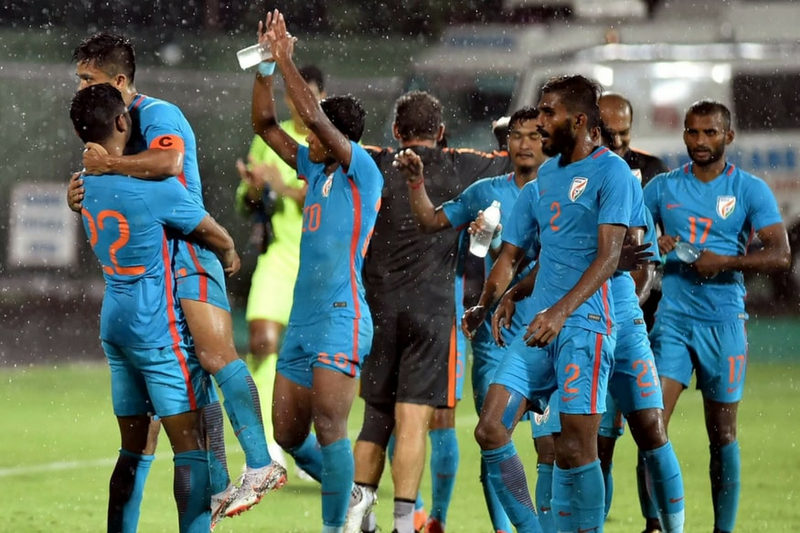 This is India's second successive victory in the Intercontinental Cup and they take on New Zealand on 7th June at the same venue. "We promise you that if that’s the kind of support we get every time we play for the country, we will give our lives on the pitch. India, this night was special because we were in this together. Those in the stands shouting, and the ones at home cheering - thank you!" wrote Chhetri on his Twitter page. We promise you that if that’s the kind of support we get every time we play for the country, we will give our lives on the pitch. India, this night was special because we were in this together. Those in the stands shouting, and the ones at home cheering - thank you! 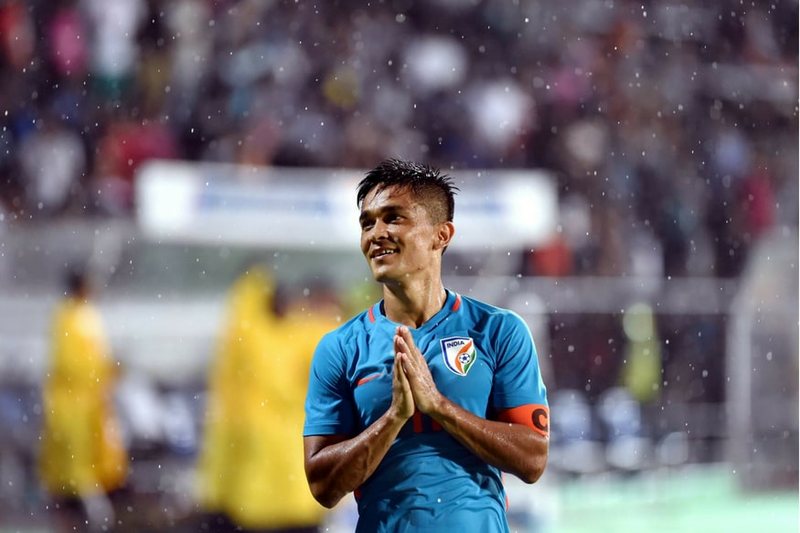 With folded hands, Chhetri thanked the crowd for showing up in such huge numbers and believing in the team. After the game, the Blue Tigers walked up to the fans and acknowledged their presence, with Chhetri taking his players for a lap of honour as his proud family savoured the moment from the stands. You can watch the match highlights here to get inspired and support the team in their next outing.